Void periods cost money - it's that simple. And as a landlord facing increased pressure on budgets and costs caused by legislative changes, void periods when letting your property can be devastating. So, how do you avoid them and make sure your buy-to-let property is filled with tenants quickly? Whether you are starting out as a landlord renting out a house or a flat, or have tenants departing soon, ensuring you get your property filled with good tenants quickly is key to ensuring a void period doesn't hit your income. When your property is empty, there is no rent coming in. By far the best way to eliminate or at least reduce the time your buy-to-let property is empty is by keeping your tenants happy, recommend Martin & Co Camberley. Happy tenants are far more likely to stay in a property for a long period of time, meaning guaranteed rent. Once a tenant leaves your property, you are essentially starting from scratch and need to impress potential new tenants and get them signed up for a tenancy quickly. So, if your property's decor and carpets have been worn down by two or three successive tenancies, Martin & Co Saltaire suggests spending some money on giving the walls a fresh lick of paint and putting down some new carpets. While doing so is an expense, the sum is likely to be less than what a long void period could end up costing you. Landlords holding off on completing key property maintenance until they have a tenant in place could be shooting themselves in the foot, according to Martin & Co Saltaire. "Not completing maintenance ahead of viewings will make potential tenants think, 'this is a landlord who doesn't care'," says Martin & Co Saltaire director Angela Newark. "They are judging the service they are going to receive on the condition of the property as they see it. "Often landlords will request that maintenance work is completed once they have a tenant, but tenants generally will judge the landlord or lettings agency on what they see in front of them." It can be tempting for landlords to attempt to make their properties stand out by adding in personal touches to decoration. But the team at Martin & Co Saltaire recommend sticking with the tried and tested principles of 'neutral decor' in order to get properties let quickly. That means good quality but plain carpets and cream or white walls. "Even if a carpet is really good quality, a strong pattern or dated style can put tenants off and make it more difficult to turn the property around," says Angela. Often, with so many rental properties to choose from, tenants are looking for some kind of incentive to make a choice. That is where an initial rent reduction could seal a quick deal and avoid a costly void period, according to Martin & Co Saltaire. For instance, 20% off the first two months' rent if a tenant agrees to a 12-month tenancy means that discount will be eaten up by a guaranteed long-term rent and no void period for at least a year. All tenants should have a notice period to give if they want to leave at the end of a tenancy or during a periodic tenancy. So, landlords should make use of that time by marketing their property for let while the current tenants are in their notice period. "It really is worth actively marketing your property even with tenants in situ," says Giles Mugford of Martin & Co Camberley. "The cost of doing so could be less than the cost of a void period, and could mean getting a new tenant in quicker and avoiding an empty rental property." Whetherto allow pets in your rental property is a decision many landlords consider, but often decide against. It comes down to weighing up potential costs associated with 'de-petting' a property ahead of a new tenancy and opening up your appeal to potential tenants by allowing animals to reside. According to the Dogs Trust, 78% of tenants have had problems finding rental properties that will accept their pet. That's a lot of tenants to appeal to, but the decision on whether to allow pets or not remains one for each landlord individually. With flexible working on the increase, offering tenants a comfortable working space and super-fast WiFi as part of their tenancy could help your property stand out and let quicker. There are plenty of attractive deals for WiFi subscriptions out there and the cost could be money well spent if you can get good tenants in place for the long term. If your rental property has a smaller bedroom, consider using it as an office space and provide a work station. Most importantly, make sure this is clear on your marketing materials as it will only appeal to tenants if they know about it! Unfortunately, eliminating void periods altogether is extremely difficult as tenants will always eventually move on and new ones will need to be found. And while implementing these suggestions can help to reduce the amount of time your buy-to-let sits empty, it also pays to protect your interests and prepare ahead. The best way to cover yourself during a void period is set up an emergency fund you can use when your property is empty, according to Martin & Co Camberley. If you have a long-term tenant, hive off a percentage of their rent and put it away, out of reach until it's needed. Alternatively, some landlord insurance policies protect you against tenants who fall into rent arrears and need to be evicted, leading to an inevitable void period, while many policies will cover the property for a period of time while it is empty for maintenance work. 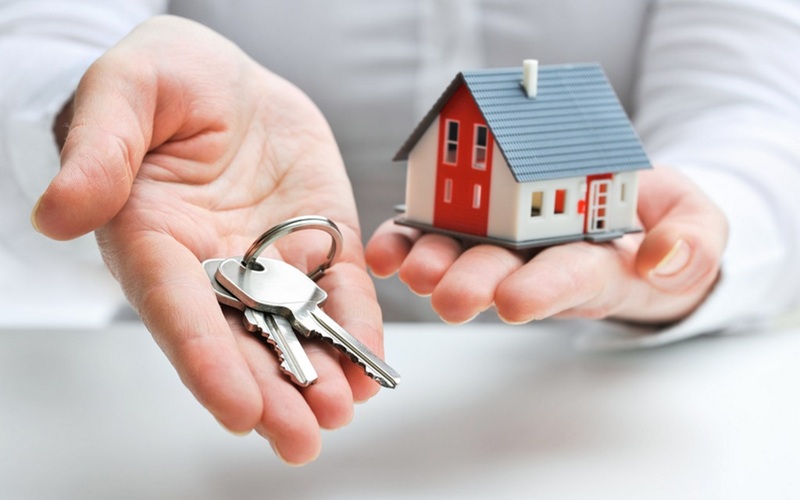 Having a good landlord insurance policy in place that covers all eventualities is essential. If you do find your property suffering a frustrating void period, try to turn it into a positive. Use the fact the property is empty to carry out key maintenance or make improvements that could help let it more quickly in the future. Consider things like living space and storage - both extremely important to the modern renter - and how you can make better use of both. If you are thinking of letting out your property, download your free online valuation now to find out how much rent you could receive or get in touch with your local Martin & Co office today.